Developing and leveraging physical resources through 1) maintenance of a master plan which establishes sustainable use of physical facilities; and 2) establish a sustainability plan for energy, materials, recycling, facilities and usage/schedule. 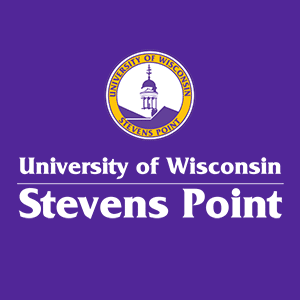 The UW-Stevens Point Sustainability Task Force was created to achieve the goals set forth in the Chancellor’s Climate Commitment in 2007. The university has signed two of the most important documents regarding a commitment to sustainability, the Talloires Declaration and the American College and University President's Climate Change Commitment (ACUPCC). Part of our commitment was to create a Climate Neutrality Plan. We are a leader among higher education institutions, achieving our goal of 100 percent renewable electricity. We became a partner of The Climate Reality Project in 2016. On Dec. 19, 2016 a diverse group of higher education institutions and Second Nature released a letter they collaboratively developed - Higher Ed Backs Low-Carbon USA. This letter was sent to the new congressional delegation and incoming presidential transition team on Jan. 17, 2017 and urges legislators to accelerate progress toward a clean energy future. The higher education sector is aligning with business leaders to call on elected officials to support participation in the Paris Agreement, climate research and investment in the low carbon economy. When the United States withdrew from the Paris accord on climate change in 2017, we remained actively engaged as part of the global effort to hold warming and accelerate the transition to a clean energy economy by signing the We Are Still In open letter to the international community and parties to the Paris Agreement.